North Carolina workers’ compensation provides medical and disability coverage for individuals with work-related injuries, impairment/disfigurement and occupational diseases, such as asbestosis and hearing loss. 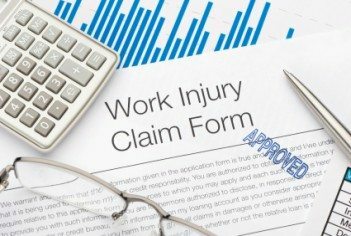 If a worker can produce sufficient evidence that the injury or disease was a direct result of the job, the worker has a right to receive compensation for significant wage loss and required medical treatment and rehabilitation. But the system is complex, riddled with loopholes and red tape, and sometimes, unfortunately, the outcomes can be unfair to sick and injured workers. Employers may discourage you from filing workers’ compensation claims altogether, or some insurance companies may deny claims without review. Employers and their insurance companies might also reserve the right to deny or direct your medical treatment. Or the insurance adjuster assigned to your claim might dispute the fact that you have permanent impairment resulting from your injury, thus denying benefits for permanent disability and ongoing medical treatment. Of course some workers’ compensation claims are simply not compensable, but sometimes benefits are denied for missed deadlines or frivolous reasons. Do not be duped by your employer or its insurance company. The workers’ comp lawyers of Ward Black Law in Greensboro, N.C. have compiled a list of 5 crucial steps you should take to avoid the red stamp: claim denied. Some employers may justify denying benefits because of delayed reporting, so you should inform the proper manager, employer or human resources representative of your work-place injury as soon as possible. As a general rule, you must notify your employer in writing of your injury – including the date it occurred and a brief description – within 30 days to receive benefits. However, it can be difficult to identify exactly when an injury develops, especially concerning repetitive stress injuries (carpal tunnel, herniated discs) and chronic illness (asbestosis) that develop from workplace activity or conditions. For these special circumstances, it’s best to consult with an on the job injury attorney in N.C., like those at Ward Black Law, regarding your claim. A workplace injury often requires prompt medical treatment or rehabilitation/chiropractic therapy for ongoing musculoskeletal problems, not only for your well-being, but for the workers’ compensation claims process to work as it should. Because your employer and its insurance company may assert their right to direct medical treatment, make sure you receive authorization before seeking treatment. Also be sure to advise your doctor that your injury is related to your work and supply the name of your employer. If your employer directs your medical treatment and attempts to use the opinion of a doctor of its own choosing to deny you benefits, you may have the right to ask for an independent medical examination. One of the most important things you can do for your workers’ compensation case can be documenting every detail. Consider keeping a journal and taking notes about your injuries, the dates and summaries of your doctor visits, physical therapy visits and days of missed work due to your injury. Ask your primary care physician or specialist to keep copious records of your visits: your pain on a scale from 1-10, every symptom you’re experiencing, and diagnosis and prognosis. Acquire copies of all tests that are run, such as X-rays and MRIs. Finally, create a file for your records of all correspondence from the N.C. workers’ compensation department, your workers’ comp attorney, employer and physicians/specialists. Employee or Independent Contractor? – N.C. workers’ compensation covers almost all workers in the state in organizations employing three or more people. Sometimes, employers may try to classify their employees as independent contractors to avoid paying workers’ comp benefits. If you can prove your status as an employee rather than an independent contractor, you may be eligible for benefits. On the Job or Off the Job? – If you’re injured while working within the scope of your employment but are physically offsite, you still may be covered by workers’ compensation insurance. You may be running errands, traveling for work, or attending trade shows, meetings or business-related social events. Preexisting Conditions – This is often a complicated issue and requires the expertise of an experienced workers’ comp lawyer. Workers’ compensation insurance does not cover preexisting conditions; however, if a work-related accident or circumstance aggravates or worsens your condition, you may be eligible for benefits. The workers’ compensation process is complex, complicated and requires professional assistance. Don’t go it alone. Seek the counsel of an on the job injury attorney with Ward Black Law. We can help you navigate the maze of the claims process and recover any benefits to which you are entitled. If you have suffered a workplace injury in N.C., contact the workers’ comp lawyers of Ward Black Law today at 877-256-1214.